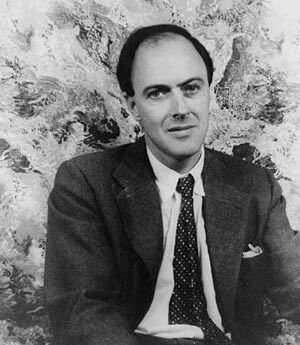 Roald Dahl – (13 September 1916 – 23 November 1990) was a best selling British children’s author and a flying ace in the Second World War. Roald Dahl was born in 1916, Cardiff to Norwegian parents. At a young age, his father passed away, and Roald was sent to boarding schools in England. His childhood years left a lasting impression on Roald, and he later serialised these in his autobiography – Boy. These times were generally unhappy for Roald; he recounts the excessive strictness, corporal punishment and fear amongst the boys. The brutal canning meted out to boys by both staff, and ‘prefects’ particularly stuck in the mind of the young Dahl. He recounted the fear and pain in great detail. He also mentioned a friend who was flogged – by the then headmaster of Repton, leaving a trail of blood. Roald wrote this headmaster went on to become Archbishop of Canterbury and this is one incident that turned him away from religion and God. Roald Dahl never really fitted in with the public school ethos of discipline and fags. Fags were young boys who would serve elder prefects – for example, Roald wryly wrote how he was chosen to be the favoured ‘bog warmer’ of his prefect. – His job was to sit on an outside toilet to warm it up for his prefect. Despite excelling at sports, Roald later turned down the opportunity to be a prefect as he admitted he could not agree with the general principles. The only glimpses of happiness were in the school holidays when he visited the beautiful Norwegian Fjords of his parents’ homeland and also towards the end of his school career when he got his first motorbike. On leaving school, Roald got a job with Shell Petroleum company and in 1934 he was transferred to Dar es Salaam in Tanzania. He enjoyed his job and made good progress. However, on the outbreak of war in August 1939, he soon joined the Royal Air Force and became a fighter ace. He gained little training in an old Tiger Moth before being flung into brutal dogfights. On an early flying mission, Roald Dahl crashed on route to Egypt. He was badly injured and was blinded for several weeks. By February 1941, he was discharged from hospital and was transferred to the Greek Campaign. This was a fight against overwhelming odds as the British forces were outnumbered with only a few aircraft to defend against the German invasion. Roald Dahl was one of the few airmen to survive the bitter dog fighting and was evacuated to Egypt before the fall of Athens. During that time he shot down numerous enemy aircraft, though the exact number was difficult to ascertain. His official figure was confirmed as 5, though this was likely to be more. After a medical condition, Dahl was invalided back to Britain. For the remainder of the war, he was given a job writing propaganda for the allies. He also supplied intelligence to the British Security Coordination which was part of MI6. After the war, Dahl began to concentrate more on writing as a career. His first successful story was an account of his crash in Egypt – “A Piece of Cake” – initially published as “Shot down over Libya”. This led to his first children’s book – Gremlins, commissioned by Walt Disney. He went on to create some of the most memorable children’s books. Charlie and the Chocolate Factory, James and the Giant Peach, Matilda. They set a new tone for children’s books. They often featured a dark sense of humour, grave injustice and grotesque figures (often fat e.g. Augustus Gloop, Bruce Bogtrotter). Using elements of semi-autobiography his stories often featured a divide between one or two good people against people who were abusing their positions of power. In books such as Danny The Champion of the World, he introduces elements of class conflict and the triumph of the underdog. His books often had unexpected endings. 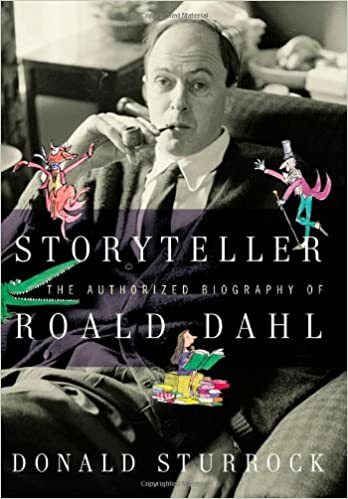 In the 1960s, Dahl acquired an old-fashioned gypsy caravan which he parked in his garden where he lived in Great Missenden, Oxfordshire. He used this caravan to write some of his children’s books. He also wrote short adult short stories, and in the 1960s he also wrote two successful screenplays – Chitty Chitty Bang Bang and the James Bond film – You Only Live Twice. But, it is primarily for his best selling children’s books that he is remembered. In a poll commissioned by Canon UK, Canon was considered Britain’s greatest storyteller – above both Dickens and J.K.Rowling. He married Patricia Neal on 2 July 1953 in New York. They had five children during their 30-year marriage. Citation: Pettinger, Tejvan. “Roald Dahl“, Oxford, UK www.biographyonline.net, 22nd Jan. 2010. Last updated 18 February 2018.